Our fragrances are available at a starting price of € 100 for a 30 ml bottle. Further details of bottle sizes and prices are available once you have selected your chosen fragrance. 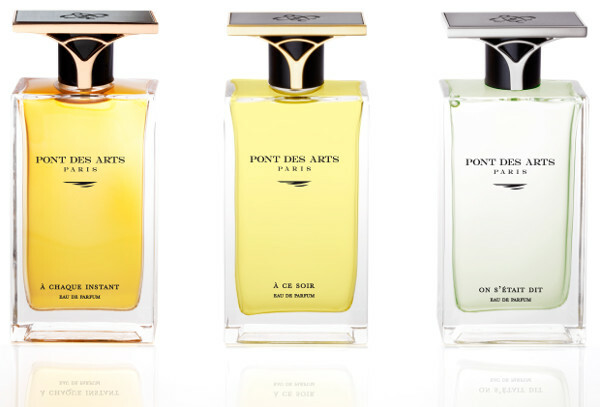 Pont des Arts offers a range of original, limited edition fragrances to customers who live by high standards and who share our values of luxury, elegance and authenticity, values that are also shared by the city of Paris itself. 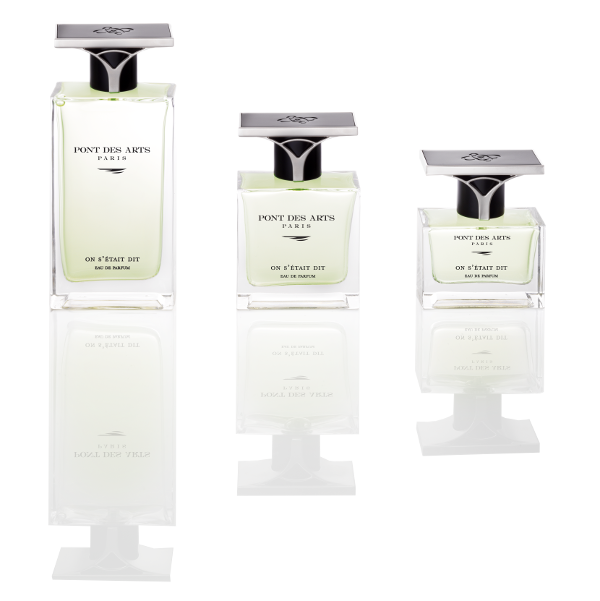 À chaque instant – a chypre, green, floral fragrance. À ce soir – an oriental, balsamic, floral fragrance. On s’était dit – a woody, spicy, floral, musky fragrance. 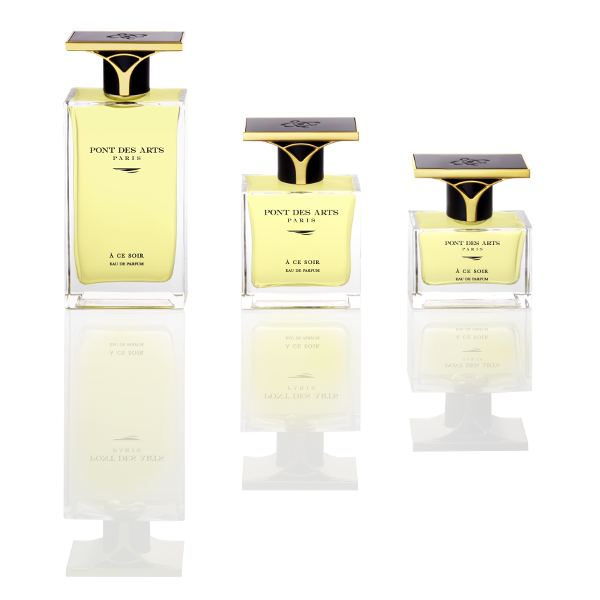 Our fragrances are available in three different bottle sizes, each one having the same width and thickness. The bottle caps are personalized by means of metal plating. Whatever the bottle size, the same elegant gift box enhances the presentation of its contents. 100 ml is the prestigious format, which we call “le Majestueux” in reference to its durable and timeless nature. 50 ml is the classic format, which we call “le Contemporain” owing to its ability to provide a balance between modernism and tradition. 30 ml is the handy & appealing format, which we call “le Nomade” because it is ideal for travelling and can be easily slipped into a handbag. Each bottle, whatever the fragrance and size, is presented in an elegant gift box made with the same attention to design and quality as our fragrances, thus enhancing the beauty of the bottle that it contains. 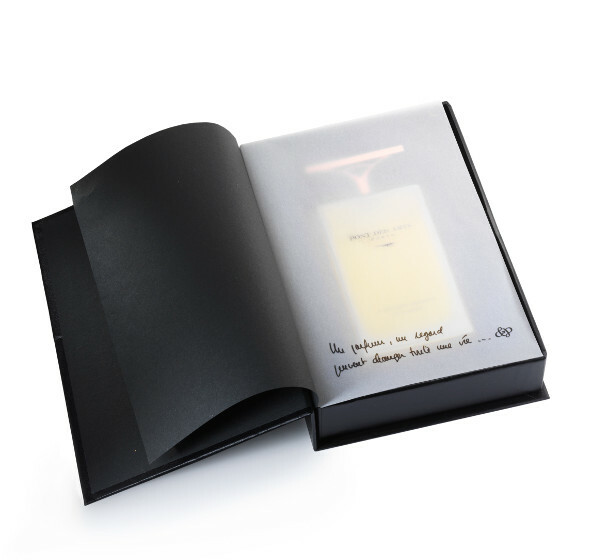 The presentation box takes the form of a book, an open reference to the proximity of the pont des Arts bridge to the second-hand booksellers on the banks of the Seine and of course the Académie Française, the pre-eminent French council for matters pertaining to the French language. Intended to be kept and re-used for all other purposes, the box will easily find a worthy place in any bookcase. Such a splendid gift box not only enhances the fragrance that it contains, it also enhances the standing of both the giver and the receiver. If you would like an introduction to the Pont des Arts perfume range, free samples of our three fragrances are available on request. 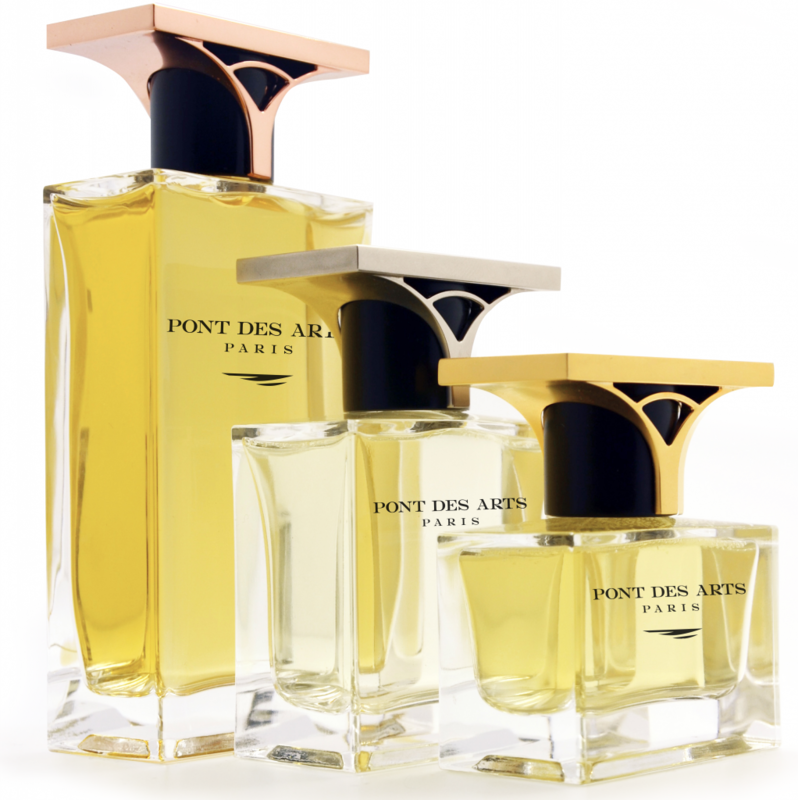 To cover preparation and postal expenses, a nominal fee will be charged, wholly deductible from your subsequent order from the Pont des Arts perfume range, whatever the fragrance or bottle size. 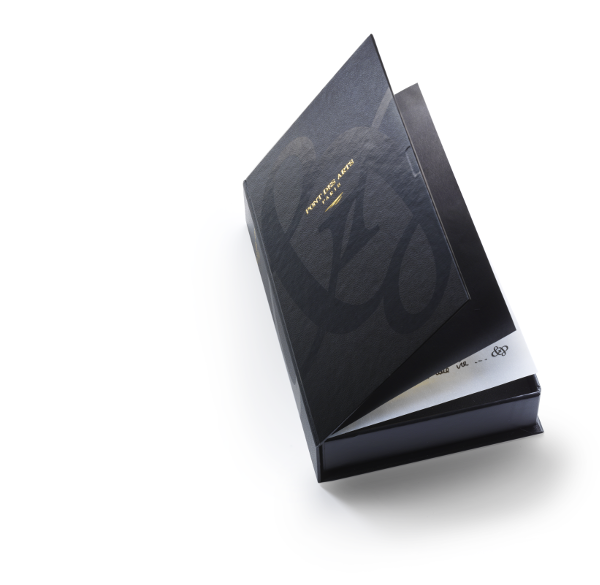 Just enter the special code that will be sent to you by e-mail when your samples are dispatched.